This year?s Oscar Award Winner, Morgan Freeman, arrived to <?xml:namespace prefix = st1 ns = "urn:schemas-microsoft-com:office:smarttags" />Bulgaria Friday, to take part in the action movie ?The Contract?, directed by Bruce Beresford. The shooting starts July 11th and is going to take at least 2 months. 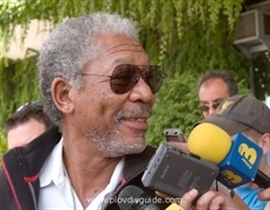 More on Morgan Freeman ? here.